A bearded Francis Coppola wins a Golden Globe as Best Director for The Godfather, at the awards ceremony held Sunday, January 28, 1973, at the Century Plaza Hotel. 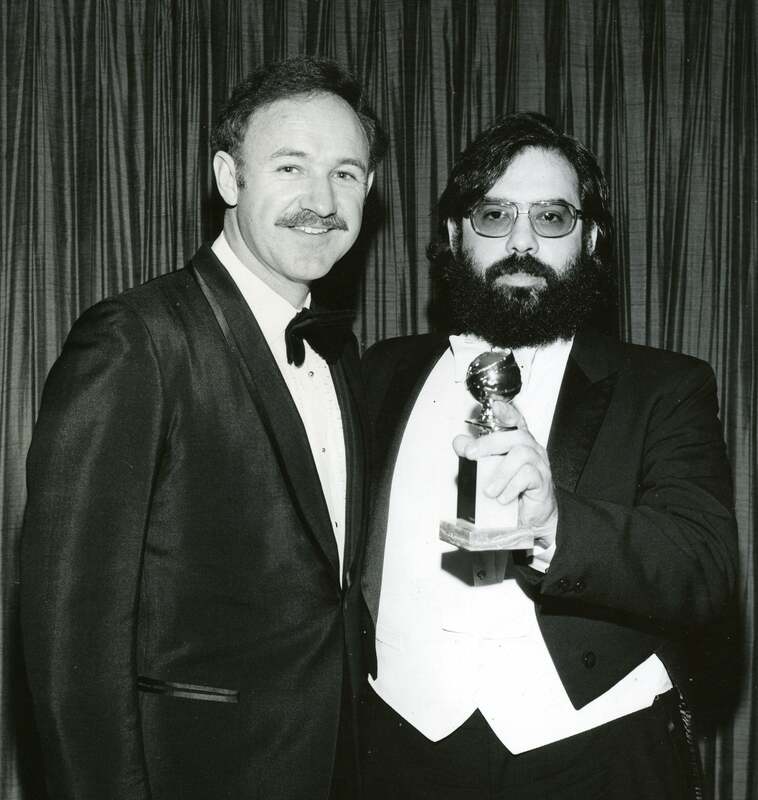 Presenting him with the trophy is Gene Hackman, who was shooting The Conversation, directed by Coppola. Coppola won a second Golden Globe that same night for Best Screenplay, shared with Mario Puzo, for The Godfather. Coppola would win Best Director again in 1980 for Apocalypse Now, and Best Score shared with his father Carmine Coppola. In 1972 Gene Hackman won Best Actor drama forThe French Connection directed by William Friedkin.